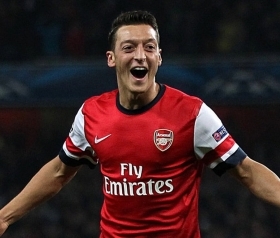 Arsenal and Germany forward Lukas Podolski has backed his team mate Mesut Ozil to come good in the World Cup. Mesut Ozil is set to start in a forward role for Germany, replacing Toni Kroos at the heart of the German side's team. “Mesut has the quality. He is a world-class player and will bring us plenty of joy in the shirt,” Podolski said at Germany’s World Cup camp.